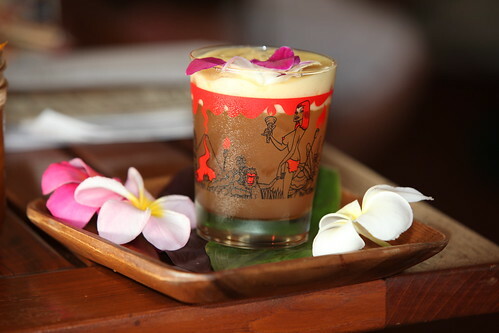 The annual search for the world’s greatest Mai Tai has concluded, with the sixth annual Don the Beachcomber Mai Tai Festival crowning Michael Soo from Bar Crudo in Arizona. 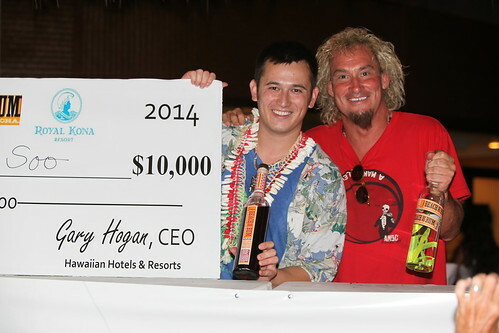 Soo, who competed with 20 other bartenders from the U.S. at the Royal Kona Resort this weekend, won $10,000. This is the second year the competition has used Sammy Hagar’s Beach Bar Rum as the featured spirit. Sammy’s Beach Bar Rum is made in Hali’imaile, and master distiller Mark Nigbur was one of the competition’s five judges. 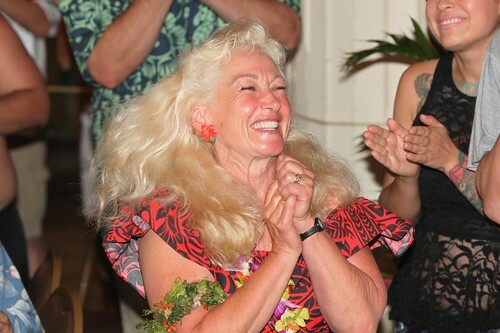 The others were Christian Self, winner of the 2010 Mai Tai Festival; Chris Teves, publisher of the Hawaii Beverage Guide; TJ Gorrance; and Ippy Iona, chef and competitor on The Next Food Network Star. The competitors were scored on appearance (8), aroma (4), creativity (7), taste (15), proficiency (4), theme and flavor of rum (4) for a total of 42 points. There was also an overall category worth 4 points for tiebreaking. Maui bartenders did very well for themselves. Defending champ Wendy Romlein of Hali’imaile General Store competed again this year, placing second. Romlein brought back her Tai Mai and won $5,000 in second place. Matt Corbin of Montage Kapalua’s Cane and Canoe Restaurant came in third, winning $2,500. This is the first time the competition had a second and third place with prize winnings. Soo said he did have some challenges preparing his cocktail. Soo learned about the Mai Tai festival at his local United States Bartenders Guild Phoenix chapter. They held a local Mai Tai competition, in which 19 Arizona bartenders competed outside in 105-degree heat. The prize was a trip to Kona to for the top two, and Soo won (his boss Micah Olsen from Bar Crudo was the other winner). Soo says he will invest his winnings in his barware idea. Soo says one of the highlights for the competition was his dad got to travel to Kona at the last minute to see him compete. He says he’s traveled to Maui because his girlfriend Mari Howe is from here. He even admits to drinking a Mai Tai or two on Maui soil. At home, I used “vintage” ice. Similar ice would be cubed ice or Kold Draft ice. Combine everything in an Isi Gourmet Whip and shake and charge with a cream charger.